Yeah, I’m a month late and a dollar short, but I’m still here so…let me tell ya all about it! It was cold. It was wet. It was windy. A cold,wet BayouCreole at the lineup waiting to roll. And I would do it again in a heartbeat! Even with the inclement weather, I still had a great time. I don’t know how the Captain does it, but the krewe just keeps getting better and better. The pre-party was off the chain! Over three thousand women filled the room. Hanging out with some sisters who live out of state…love these ladies! Our 3 leagues below sea level headpiece. We didn’t win the competition, but she is a beauty! That “Katrina door” is everything! Me and 3 thousand of my sisters! Me and Float 17 Mystic Sisters Rule! I love being their float lieutenant! I love this picture so much! We look like a bunch of happy kids! After the pre-party, we hit the streets and threw til it hurt! Man, I gotta tell ya…that cold/wet/windy combo wasn’t nothing nice! It’s all a part of parading though…some rides will have great weather, some not so great. Nyx Captain, Julie Lea…getting soaked and still looking gorgeous! Riders trying to stay dry and warm before we pull off. Float 17 in da house! Even in the cold and rain, these ladies were happy to be out there…how awesome it that?! I wish I’d taken a picture of the crowd that was out there in the rain supporting us because they were the real MVP’s of the evening. At one point, the rain began to come down pretty hard…I was expecting people to pack up and leave. They did not budge…I was floored. I couldn’t throw to them fast enough. Anything they asked for (expect for purses because I didn’t have anymore) I gave it to them. They more than deserved it. Shout out to anyone who was out there in that weather with us! You are the real deal! 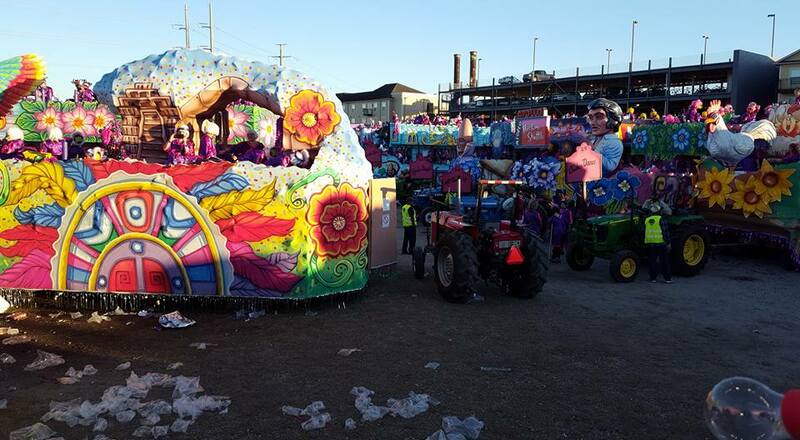 The krewe is still young (7 years old) and has already topped 3,000 women riders. I’ve been a member for 5 years and this was my first year as a lieutenant. People kept asking me how I liked being in that position. My response was always, “it’s like breathing” because it feels so natural. When you have a passion for something, it doesn’t feel like work.I have no plans to ever leave the krewe. When I’m so old that I can’t climb on the float anymore, then I’ll stop riding. Nyx has made history in a lot of ways,but what really impresses me the most is the inclusivity. 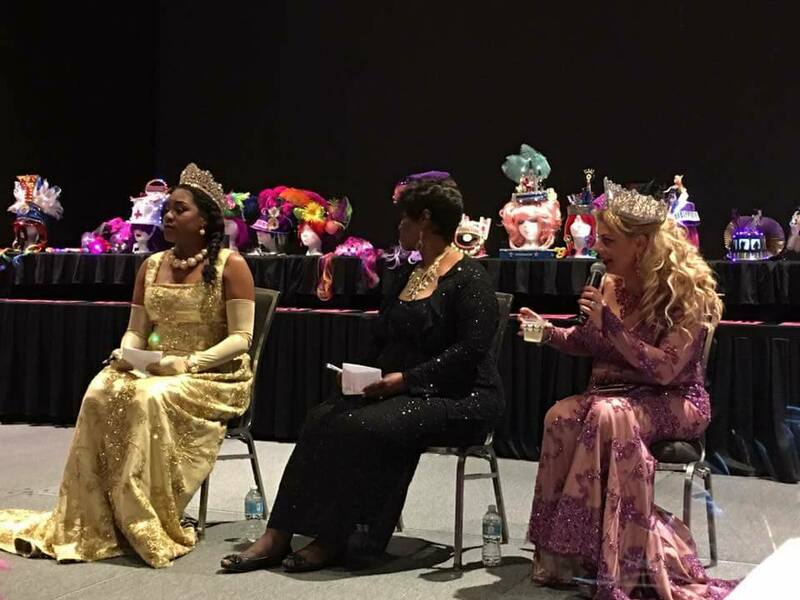 The fact that so many women of color ride in the krewe (and are float lieutenants) speaks volumes. And that inclusivity is visible from the streets. That means a lot when you are a child out there trying to catch throws. I’m not going to even talk about my childhood…when my own kids were young, they didn’t see anyone that looked like them on the floats (and if they had blacks in the krewe, they were few and far between) and my kids are in their 20’s. It’s nice to be in a krewe where diversity is seen. If you’ve never experienced Mardi Gras in New Orleans before and plan on coming one day, make your reservations so you can catch us! You will not be disappointed! We throw like crazy! 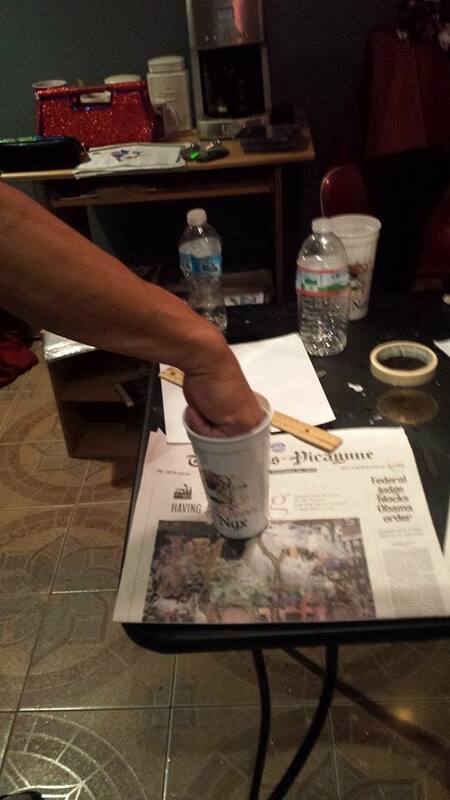 See the picture below for evidence…lol. I’m looking forward to riding in 2019. We ride on Feb.27th…now, I just checked the weather for that day and this year it was clear skies and 72 frigging degrees at night! Imma need the weather gawds to do a repeat for next year. Yep, I’m a bad, bad BayouCreole. The entire carnival season has come and gone and I didn’t come over to my blog to post anything. Well, that means I have that much more to blog about. I didn’t go out today to see the parades…too tired and had to hit the plantation to earn coins so I can eat some vittles. Whew, I made it through another one. I must really be getting old because I don’t have the carnival season stamina that I used to have. Maybe I was just too tired with school, work, decorating purses and coconuts and everything else. I had a fabulous season though and my ride this year was EPIC! I thought we had a large crowd last year (and we did), but this year it was HUUUGGEE! I had the most fun ever! Most people who ride in carnival krewes say that once you ride on a float, you never want to get back on the ground. I never felt that way. I love being on the ground as much as being up on the float. I love to flex my “bead-catching muscles” and see how many throws I can get my hands on. This year was the first time that I actually loved being on the float, more than I loved being on the ground. Everything about that day was fabulous…from the pre-party to the end of the ride. The weather was gorgeous! I think it was about 65 degrees when we hit the street. And the crowd was out in full force. I really am proud that the krewe is doing so well. Looking forward to many more years of riding with such a great group of women. February 7,2018… we get to do it again! It’s a long day, so we eat before we head out. I really liked this set up. 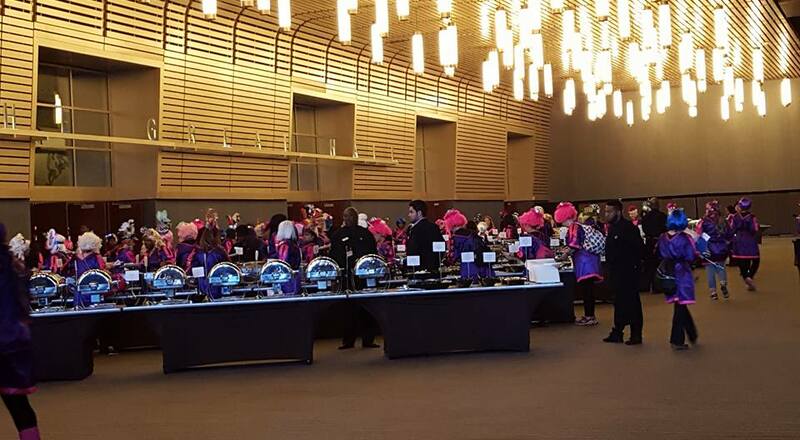 Inside the pre-party 2,900 women! 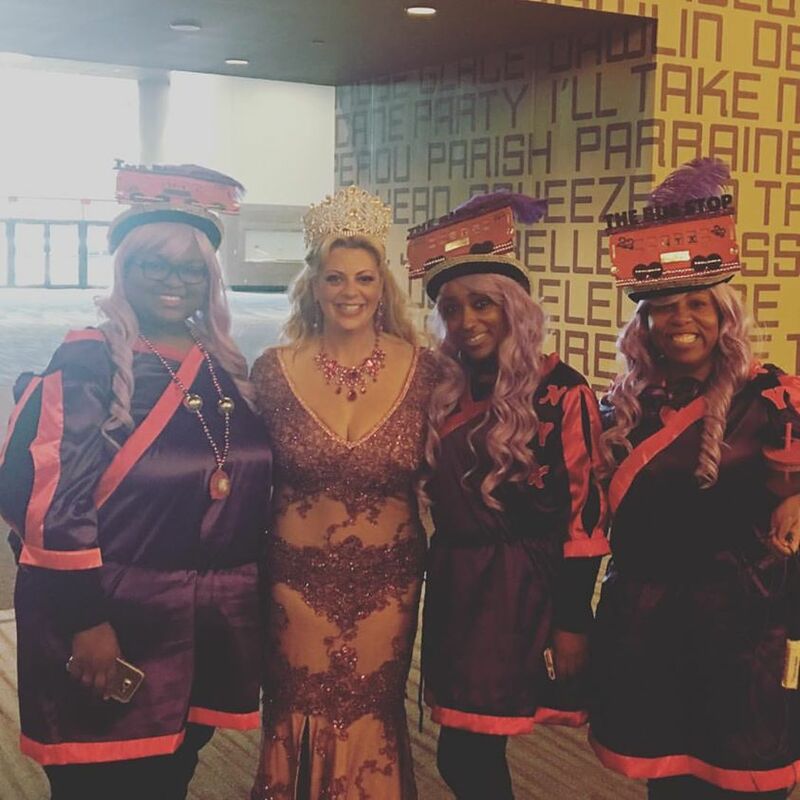 The lady who runs the entire ship… our Captain Julie Lea and a few Nyx Sisters. After the pre-party, we were taken to the staging area. Here we are on the floats, getting throws ready for the crowd. A float full of Nyxsters ready to roll. The crowd was amazing! They really showed us so much love…I love my city! Seeing the kids like this makes it all worthwhile. 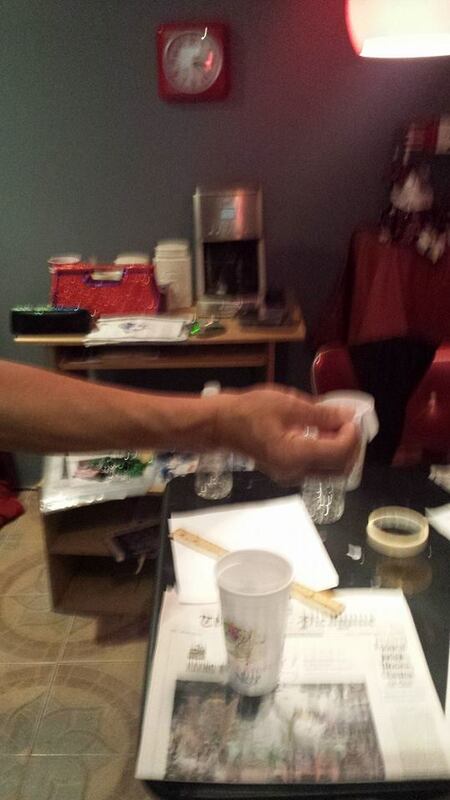 Pardon the errors…I need new glasses..darnit. Me and SOME of my throws! Yes, I am a bad BayouCreole. This is so unlike me. Mardi Gras is in full swing and I have not blogged a thing. I have so much going on right now it’s crazy, but I will be back soon with a full recap on my season with Nyx (Nyx turns Syx) and other happenings. I just wanna say that my ride was epic. Last year was so fantastic, I didn’t think it could get any better…but apparently it could because last night was over the moon! Perfect weather, perfect crowd, and perfect krewe. It.Was.Amazing. I have to shout out the Captain of the krewe, Julie Lea. 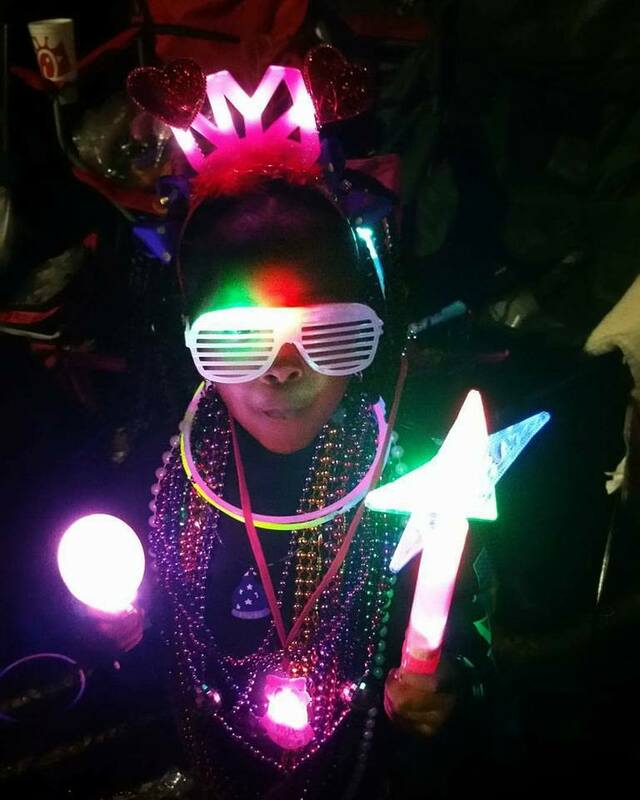 It was her vision to bring about another all-female krewe to ride at night. We are 2,900 women strong.She’s the one who keeps it all together…and she does one helluva job. Well done Julie…very well indeed. I don’t usually go to the parades on Friday so, I’ll put a post up then about the ride and the work my way back to the ball. I am one tired duck, but I wouldn’t trade if for anything. Well, carnival season is officially over and it was absolutely fabulous! I’m going to break my Mardi Gras post into 2 parts because I have so much that I want to cover. 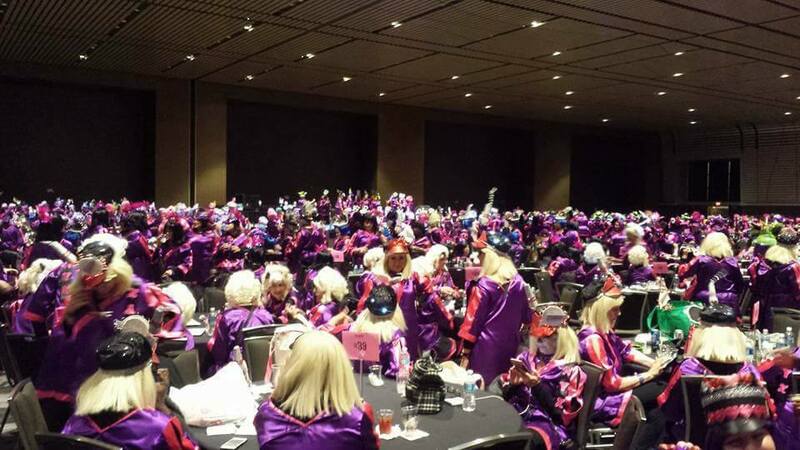 Part one is gonna be about the Krewe of Nyx’s fantastic fifth year. Yeah, the krewe has turned 5 already. It seems like yesterday I was on my lil blog crying away because my number was 1819 (that number will forever be in my head) on the waiting list. And now I’ve been a sister for 3 years, was a sister-in waiting for 1 year,and I’ve attended all of the Nyx Myx Balls except the first. It’s been one helluva journey and I’m glad that I’ve been able to share it with y’all. So grab some munchies and lets talk about what went down this year. In five short years, the krewe has grown tremendously! The first year it rolled with a little over 500 members. This year we rolled the streets of New Orleans with 2,232 members. Needless to say, the word is out about the krewe and women are wanting to join the sisterhood. I can’t say that I blame them. When I joined, I didn’t know a soul in it. Now, I have so many women that I call my friends and float mates…it’s pretty darned awesome. The sisterhood is real y’all. February 3rd, we took to the streets and for a while there we though that we may have some bad weather, but it was a beautiful night! I managed to take a 2 minute clip of my ride. If you REALLY REALLY want to know what it’s like up there for me, take a peek. It was taken on the corner of Napoleon and St. Charles. This is where the parade turns onto the longest street of the parade. When you watch the clip, remember…the parade is 5 miles long! It’s total sensory overload..and I wouldn’t trade it for anything in the world. It was truly an amazing night, my ride was epic…but I gotta back up and start with my favorite event of the season… the NYX MYX BALL! YEAH! That’s my favorite event for sure! 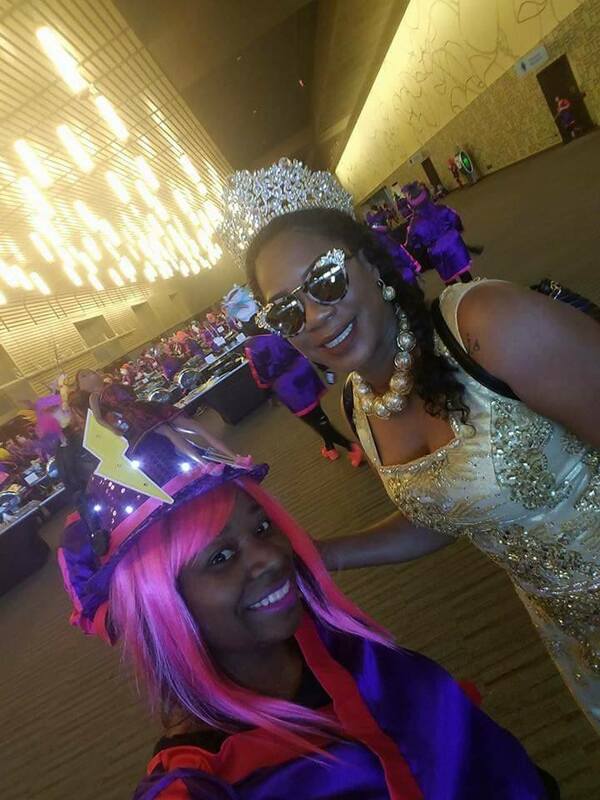 The Nyx Myx was held at the Hilton Riverside and once again, the krewe did not disappoint. Navy Seal and I decided to switch it up this year and stayed at the hotel for 2 nights. Yeah, I know we live in the city, but let me tell ya…that was THEE best decision ever! It was so convenient to be able to just go upstairs at the end of the ball. And when you’re tipsy tired, who wants to have to worry about getting home and stuff? And a staycation in New Orleans is always an awesome thing to do. and around midnight, they set up a breakfast buffet. The MoJeaux’s were the entertainment in the Grand Ballroom and the No Idea Band were the entertainment for the Grand Salon. Both bands were crazy good! I fluttered like a lil social butterfly between the 2 rooms and got my dance on for sure. One of the reasons the ball is my favorite event is because the energy is off the richter scale. Everyone is so happy, it’s like a sea of joy for hours on end. Our Captain(Julie Lea) looked absolutely stunning! Here’s a clip of her making her grand entrance. The grand marshal for 2016 was Paggy Lee,the owner of Five Happiness Restaurant (If you want the best Chinese food in the city, this is where you should go.) Her entrance was spectaular! She had Lion Dancers with her and it was so cool to watch them perform. Navy Seal and our family. My awesome friends. I’ve been knowing him since we were 15 years old. I met his beautiful wife through him and now, not only are we good friends, she’s a member of the krewe as well. Life is good. Yep! The Nyx Myx Masquerade Ball was one for the record books! We aren’t finished yet though…told ya grab some munchies. 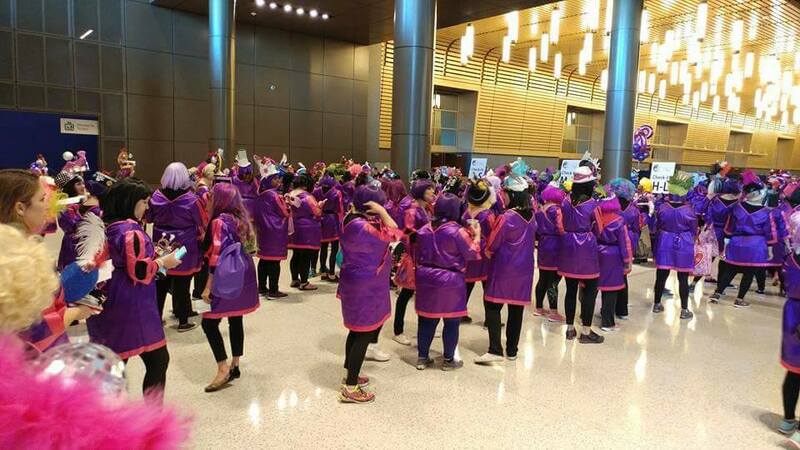 About a month after the ball, the Krewe hit the streets of New Orleans with those 2,232 women and painted it pink and black. A few days before we roll, the krewe holds distribution day. This is the day we get to pick up our costumes and other things. I think this is when it hits most of us that we’re actually getting ready to roll. I took these pics after the mad rush of women had cleared out. Every float has a table and that’s where the ladies pick up their items. After that, the next big event before we hit the streets is float loading. Pallets of throws getting ready to be loaded onto the floats. Having extended hours to load was a great help too. BayouCreole getting ready to check her throws. Upper level of float. What do I see? SPACE! I’m so jealous. The day of the ride, we have a pre-party. That’s where we all get together and have a wonderful time before we roll. This year the pre-party was held at the Convention Center. I love being in my 50s! Random…yes, I know. I was on the Cinco de Mayo float. The pre-party is another favorite event of mine. I’ve enjoyed them all, but this year it was fanTABulous! we had a lot of room in that joint! The Captain and her krewe. That’s right! All of us were in that one room with plenty tables for each float and we still had a bunch of space to walk around, dance and mingle. Headdress competition. I’m in this picture, but you can’t see me because I’m so damned short I’m behind my cousin. Now, add Southern University’s Marching Band (The Human Jukebox) to the mix and yeah…we were pretty hyped and ready to hit the streets by the end of the pre-party. About 4:30 p.m. we began heading out to get on the floats. Once everyone was on board, we were brought to the staging area. This is where we met up with all of the bands and marching units. As the float neared the start up area, the bands and marching units fell in line behind whichever float they were supposed to and then it was off to the races! I had enough though. By the end of the ride I was too pooped to pop. I didn’t suffer with any body aches until the next day. Five miles of constant throwing can take a toll on your muscles. Next year, I’m scheduling a “post ride” massage to get this old body back in order. Body aches are a small price to pay for such an experience. I’m already looking forward to 2017. I’m not rushing it…just looking forward to it. I still haven’t recouped from this carnival season. I gotta give kudos to the women who make it all possible. I’m sure it’s not easy, but nothing great ever is. And because it has become tradition for me to put up a few of the signature purses that I create each year, I shall not disappoint. Is this thing on? Hellllooo out there! Y’all gotta forgive me, I know it’s been a long time…the grand baby is almost 8 months old so, I know it’s been a minute. I’ve been very busy. Ya girl is back in school continuing her eduMAcation and it’s taking up so much of my time. Y’all know that if anything would bring me back to blogging though, it would be Mardi Gras. This is my favorite time of the year. We’re going to catch up on a lot of stuff (the Nyx Myx ball was off the chain and I went to the inaugural ball for the Krewe of Pandora.) Also,when we roll on Feb 3rd (I’m so not ready) I’m going to take a video and post it. We’re expecting a huge crowd out this year and the turn from Napoleon Ave. onto St. Charles Ave. is a sight to see. I’m gonna video it and put it up for you all to see. 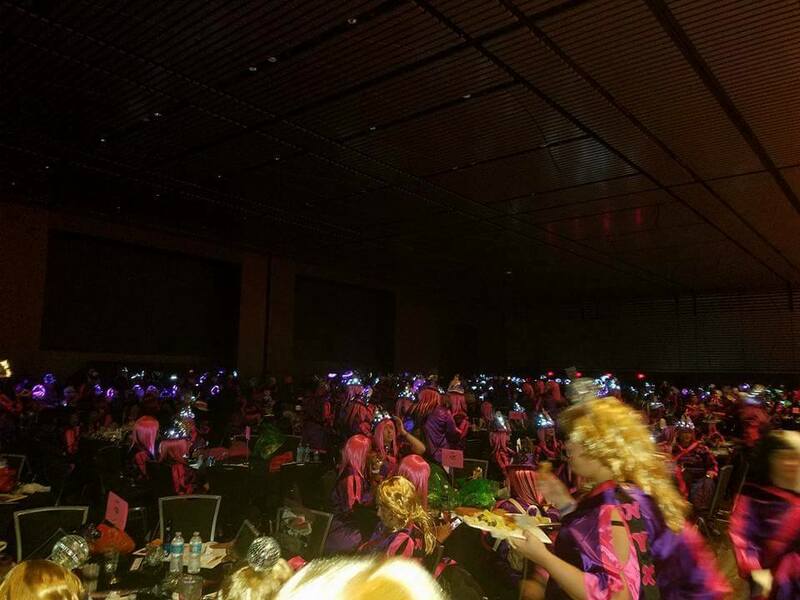 This is the Krewe of Nyx’s 5th year anniversary and what was once a krewe of a little over 500 women is now a krewe with… wait for it…2,232 women riding! I’m so glad that I am a member of such a wonderful krewe. I’m gonna tell you all more about that later though. If you live out of town and want to watch the parades or if you live in the city and just can’t make it out for whatever reason, NOLA.COM has a parade cam that’s located on the corner of St. Charles and Napoleon. You can catch all of the parades (with the exception of Zulu and Endymion) on this parade cam. The commentators have gotten much better (the first few years were rough with them) and it’s a live feed so if you want to watch the parades, make sure you check out what time the parade starts. The parade cam is not too far from where the parades line up. You can find the link to the parade cam here. 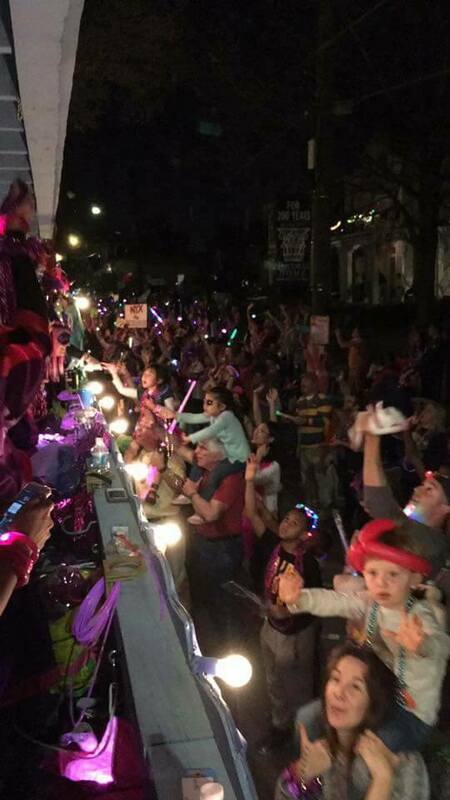 I’m gonna wave at all of my fabulous readers who will catch the Krewe of Nyx on the parade cam. It has become a tradition for me now. 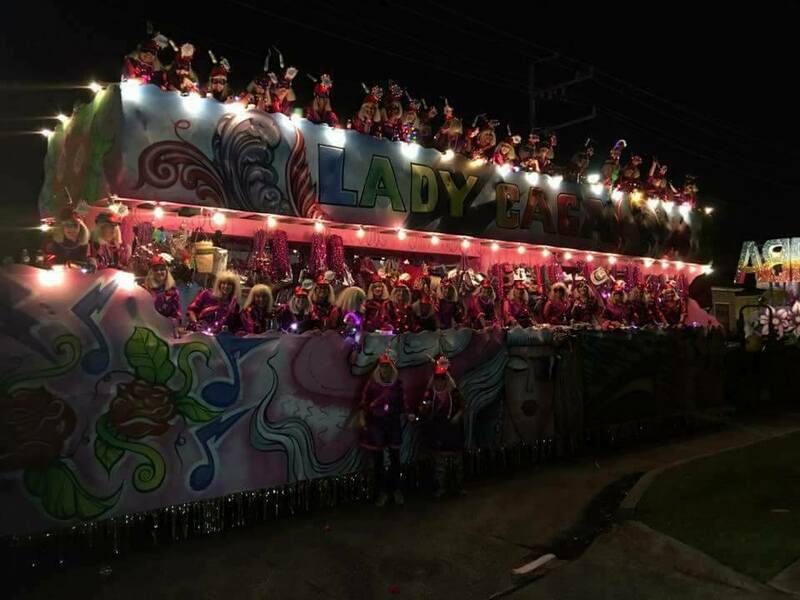 This year I’m on float 28, sidewalk side (that’s passenger side for those who don’t know Mardi Gras lingo.) If you come out on the route to support us,just yell BayouCreole and I’ll have a beautifully decorated purse for you! Grandstand tickets are still for sale. If you want to purchase grandstand tickets, you can find the link here. I’m actually trying something new this year. This will be my first year catching Endymion in the grandstands. I usually catch them under the bridge at Canal and Claiborne. I thought I’d switch it up this year. This is Endymion’s 50th year anniversary! Wow…Can’t wait to see what they put on the streets this year. And I think that’s about it. If I think of anything, I’ll come back and put a mini post up, but I think I’ve covered the basics. I know a lot of folks (including me) love Randazzo’s king cakes. They(Manny Randazzo’s in Metarie) are usually closed on Sundays, but they will be open the Sunday before Lundi Gras (think the day Bacchus rolls.) So if you want to get a king cake before Lundi Gras, you can go there Sunday. The link to Randazzo’s is here. Well loves, I think that’s it for now. I gotta get outta here. I’m trying to catch the parades tonight. 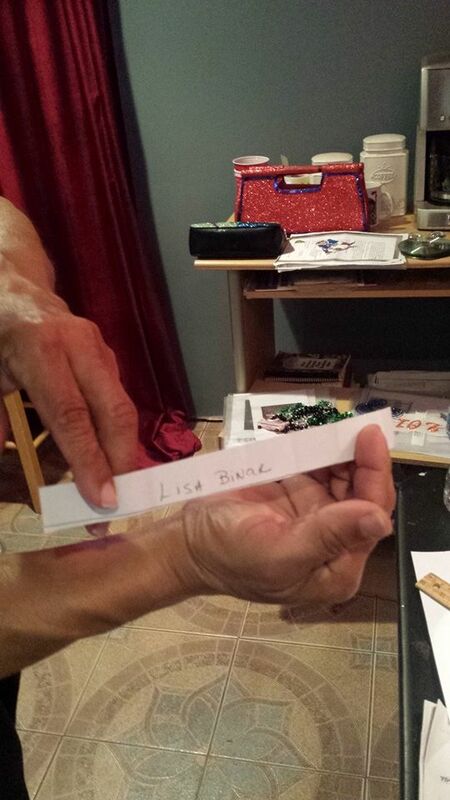 Alright y’all,we have a winner in the Mardi Gras giveaway. 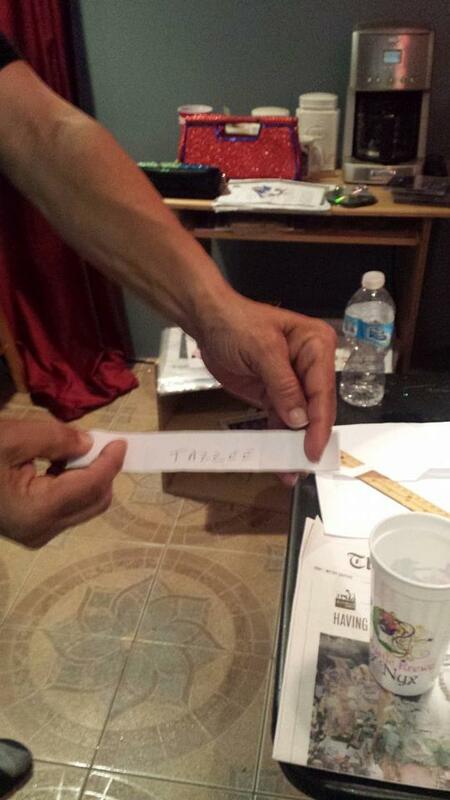 I wrote all the names down on a piece of paper and had Navy Seal pull the lucky winner. 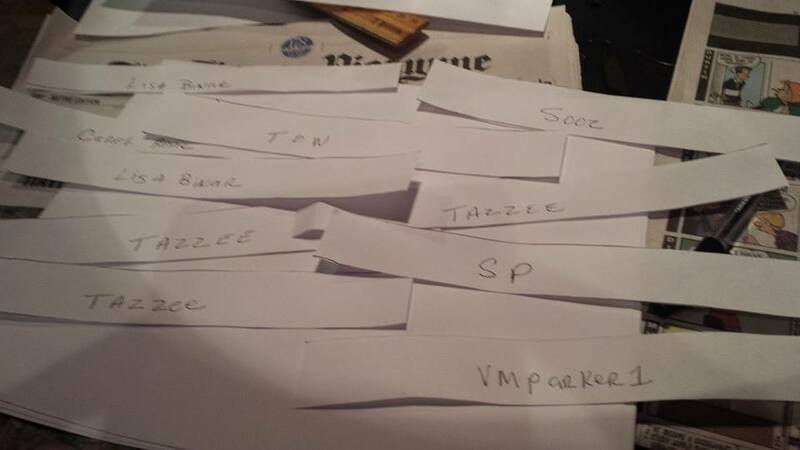 After today, the winner has one week to email me their address so I can mail the gift card to them. If the first name pulled doesn’t contact me, the 2nd name pulled will receive it. Lisa, you can reach me at bayoucreole63@yahoo.com. Let me know where to send your Visa gift card.You have until February 25th to give me the info before I contact the runner-up.